The film maker interviewed many eye witnesses & survivors to get many of the scenes accurate as possible. Some of the lead characters were composites of two or more characters & actions of them. So what are you 1 star idiots wining about? In order to not leave the theater totally depressed after 2 hours of suspense & carnage, 1 scene was changed - Only the Baby & Nanny survived. All-in-all, the movie accurately depicted the events as they unfolded. By slandering the film you minimize the heroics by every day people(hotel staff) in the selfless acts performed by them to protect the guests. The film doesn't candy-coat the reality of how a beautiful day can turn into your worse nightmare. Film-making perfection. Saw it 3 times. Dev Patels portrayal of human kindness in spite of all the adversity around him is one of the most memorable scenes. Award worthy. Also - as I understand it, some of the staff had escaped the hotel but went back in to help. This is the reason that inspired the film. This movie should be required watching for all adults over 18. Such an important movie about the pure evil of Islamic terrorism and how the young can be completely brainwashed into slaughtering innocent people. Extremely disturbing and depressing but a truth that people must face. In this day and age, it is imperative that people be informed about the world around them, this was a well written and well acted movie. 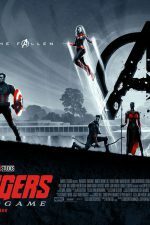 I admire the effort and work that went into making this movie without bias, it was informative, it was tragic, and it showed very bad people as well as very good people in a situation where individuals can choose to be one or the other. Those who are attacking the movie because they have Muslim friends or because they read the Koran are misled. The radical ideology is not in the Koran or those who follow it, it's in the interpretations of the imams that came after the Prophet Mohamed and those who follow it like ISIS. Readings from these interpretations are never mentioned nor handed out free at street corners. Excellent!! Academy Award worthy! I was in Mumbai a few years after the attack and Mumbai was still reeling from the horror. This movie was an upsetting yet poignant portrayal of what happened. Great movie a little slow in the beginning but heats up fast .The acting was excellent. very well done. clearly portrays the scene that unfolded during the Mumbai attacks in Nov 2008. A must watch for everyone that wants to understand the current events in the world. It's not overly emotional. For people in the comments section who seem to conflate "facts" with "hate". 1. No one cares about your persistent offense. Nor should they. If you can't present a reasonable case as to why something is "inciting hatred", you should do the adult thing and change your perspective. 2. A basic inductive reasoning exercise for you: -Some people are terrorists. Some terrorists are Muslims. Are all Muslims terrorists? (An 8 year old can figure this out). Like with just about all of the nonsense on the internet these days, this review section has been infested with political ravings based on strawmanning this film and a general inability to think rationally. "Hate" these days seem to include the presentation of facts. There is a tremendous amount of violence in Islamic countries, and a tremendous amount of documented violence has been committed in the name of hatred by Islamic extremists in the last 20 years. Precisely what about this is offensive? If you're offended by facts, you need to enter the adult world. Now any moderately intelligent, semi-reasonable person *should* be able to conclude that just because Arabic people are shown committing violence *does NOT mean this movie implies all Arabic people are violent*. Just because some Muslims are shown committing violence does *not* mean ALL Muslims are violent. *Obviously*. Why this distinction is so difficult to make is utterly beyond me. Rate the movie for what it is, and take off your political glasses. It was a good movie and really so intense and on contrary I don’t think it was about racism. This movie had my wife and me on the edge of our seats the who time. There are some people leaving reviews that this movie attacks all Muslims, I didn't get that all. As in any group, there are good and bad people. This movie is about 10 Muslim terrorist who attacked several locations and killed 400 people. I have known numerous Muslims over the years and am proud to call many of them are my friends. They are good people. However, anyone who is going to go out and kill innocent people for any reason, Muslims or non-Muslims, in my opinion, are not good people. One word...wow! The acting was superior, the story was well told albeit very sad and very tragic. Seeing this movie really made me think. This is not entertainment, it is about knowledge and understanding, about the sadness and terror that exists in the world today and bringing it into the light so that we can recognize and help to prevent it. No one who actually “believes” in any GOD could commit these atrocities; this kind of terrorism is solely about evil...they would do better to admit they are only praising the “devil”. Ignore the 1 star morons who just want to be contrary or don't have the intellect to understand. The plan is to kill every westerner & non-Muslim in sight, no questions asked. They do this very efficiently. Killing is the headline grabber. But, the GREATER STORY is the brave staff who volunteered to stay behind to try & protect the guests & the "cat & mouse" game of the remaining survivors to remain alive. Pay close attention to 2 phone (true? )calls by the terrorists & you'll know what this slaughter is really about. AND IT'S NOT RELIGION. Although the battle cry is Allah ! This group & many others(happen to be Muslims) blame the West for all their woes & hate Western ways, & they will never succeed . It must be differentiated, a group('s) who hate, though Muslims, apart from the Islam religion as a whole. Their model is on Oppression just like the nazis. And the bigoted whites against the Blacks. It's not natural for humans to accept being oppressed. Dev Patel (wait staff) who gives an outstanding performance in humanity was initially told to go home, but convinces his boss to let him stay & work; turns out he becomes one the main heroes. Since this is reality, there' no Hollywood heroes to save the day. It's gripping suspense at its best. A very powerful well acted depiction of in-your-face mass slaughter by terrorists based on actual events in Mumbai in 2008. Entertainment is not the correct word for this movie; It's story telling at its best, while bearing witness of what these people went thru from their perspective that was palpable & the courage of the hotel staff & others that made this a chilling suspense-thriller/drama. The merciless non-flinching killing is hard to watch. I wondered how the director got the actors to display such realistic emotions of terror, fear & anxiety thru-out. The acting was so convincing & looked so real because it was real. How did the director pull such strong performances? The ensemble was never told where or when the bombs or machine gun fire was going to occur keeping them in a constant state of anxiety. Brilliant, but not for them. I also understand that when the cast viewed the first screening, some teared up . A statement to the power of this movie. Another great true story is "UNPLANNED" ; the remarkable story of Abby Johnson who did a complete "about face" in regards to the abortion industry. Watched this at TIFF. Good acting and excellent directing .This should be categorized as horror genre so beware, it is very intense! Based on a TRUE STORY! 0 stars If you hate innocent people and love terrorism this is for you. This is not how the preview makes it out to be. I was expecting a good movie but this was full of contradictions to reality. Horrible acting as well. This is a movie based on a well documented, horrific terrorist attack in Mumbai 2008. The acting is excellent. The horrible events are depicted quite accurately. It is a story to be told, if you dare to watch it. This movie is not for the faint hearted. It is a horrific true story of terrorism. Well acted, well done. Excellent movie from start to finish. The acting was great from all the cast. The movie was very gripping from start to end. I would recommend this movie to anyone who enjoys a good action movie. The movie trailer is deceiving. My boys and I were disappointed and left before the movie ended. Well-documented, accurate portrayal of events that took place. Excellent acting by all. It was not easy to watch this movie and see numerous innocent people shot and killed for no good reason at all. This is certainly no fiction. The dedication and bravery of the hotel staff in risking their own lives in protection of guests is highly commendable and factual. There is no need to blame religion for atrocities of this type; the perpetrators have no humanity and no real affiliation to any legitimate "cause". They assume a sense of unlimited power when such horrendous, cruel acts are committed under their command. Arabic is not the language the shooters used in communications with their handler, just a local dialect. I have Muslim friends. I also met Muslims in countries where they are the minority and in other countries where Muslims are the majority yet, I’ve seen nothing from them except kindness, hospitality and love for life for themselves, their families and others. Reading some reviews like that of this person describing Islam as a death cult, I wonder if he/she has interacted with a Muslim or even read the Quran before. I have read the Quran myself and by your description I can tell your knowledge about Islam is distorted. That is the danger a movie like this presents. People with limited understanding of the real world learning about others through movies or TV. Only reason this movie isn't rated at 5 stars is that some people refuse to accept the truth. Islam is a death cult- not a "religion of peace". I'm sorry if it's hard for you to watch 10 Muslims slaughter over 400 Hindus and Christians but it's a factual account of what happened. Take YOUR agenda elsewhere. Well directed, well acted - certainly made it very real. Still can't fathom why terrorists kill innocents. Two hours passed quickly as this gripping re-telling of the terrorist attack on Mumbai unfolded on the screen. The story is not fiction; rather, it is a portrayal of the religion-driven and senseless slaughter of scores of innocent civilians in Mumbai in 2008. Yes, it is violent, but so is terrorism. This is truly one of the best films of the past year with superb performances by such leads as Dev Patel, portraying a server in the Taj Palace Hotel's dining room who, like other hotel staff, made protection of hotel guests his first priority while risking his own life. Of course, all but one of the characters are composites of the many staff and guests who had the misfortune to be at the hotel at the time of the attack. The exception is the character of the head chef of the hotel's famous dining room. We should all show such courage and grace in the midst of such adversity. Despite the reviews to the contrary, this is not a racist film, any more than was "Schindler's List" or "The Colour Purple," both of which captured the racism perpetrated in the first film upon the Jewish people and in the second upon African Americans in the southern States. This is not fiction; this simply depicts an historical truth, and is well worth seeing at least once if not twice. Of how many movies can one say the same? while liberals cry about this and that and life isn't 'fair', this is a story about the WAY THE WORLD REALLY IS. you don't want to watch the way the world really is? there's always sesame street and barney the dinosaur for you. grow up already. this is not entertainment. I come to a movie to be entertained. a message in a movie can add to the experience, but walking out an hour into the movie I still found no value to it at all. if this topic interests you, I would encourage you to seek it elsewhere. no entertainment or story value in this movie. go only if you want to see defensles inosint people shot. The Movie had me at the edge of my seat the whole time especially knowing it's based on real life events , real people who lived through this horror. I don't think the movie is intended to offend any group of people or make any religion look bad. It's a Movie based on Facts unfortunately . Humans can cause unnecessary chaos ,pain and suffering to one another . I am a non-muslim mother, If you’re a movie-goer, a reader, a story-lover, a human-remember "Being a good person does not depend on your religion, status, race, color, political views or culture. It depends on how you treat others" I didn't like the movie for one reason it's obvious that the killers speak the Arabic language and if I don't know Muslims or Arabs, I would be scared to meeting one of them, but I have this Muslim best friend, who is really nice. Again, racism is still with us, but it is up to us to prepare our children for what they have to meet, and, hopefully, we shall overcome. As amother I DON'T want my kids to watch it. Simply put, we paid money to watch someone’s political agenda. Raw, gripping, suspenseful, heart-wrenching and so well done! An excellent movie. 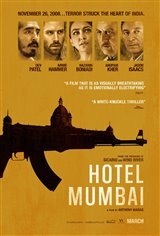 "Hotel Mumbai" portrays what was an Islamic terrorist attack in the city of Mumbai in 2009. In all, 174 - not included the terrorists - were killed, a number of them in the hotel itself as well as a nearby restaurant [;is two other targets. There were ten who came from neighboring Pakistan and who had trained and prepared for the mission, the president of Pakistan eventually acknowledging the terrorists' nationality. The movie is not racist; it is simply depicting an historical event which cannot be ignored. Nine of the terrorists were killed in the attack; the tenth was eventually returned to Pakistan and ultimately released from prison. The movie is violent, yes, but so was the attack itself which in the hotel lasted for four days. One may not care for the subject matter, but one cannot deny the reality of the attack which resulted in the deaths of many innocent tourists and civilians. It does not hurt to be reminded of the world's history, as painful as it may be. Trolls on here saying this movie is racist. Not so. Watch the world friends. We can all get along! This is not an over exaggeration and these troll snowflakes pretending to be affended by it should take a good look at themselves. Loved it. Shows the reality of MUSLIM extremist and how they are destroying the world. its a stupid movie. not even true. This movie is made with bad intention against the 1.6 billion muslems in the world. Its sad that amarican Muslim kids have to deal with the bulleying and teasing at school because of that.